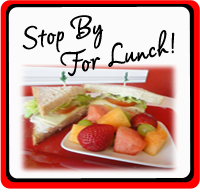 Plan your next Birthday Party, Ladies' Luncheon, Camp, Scout Troop Meeting, Parent/Child event at Touch of Sweets! 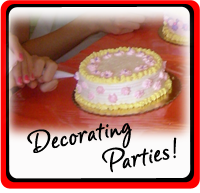 Host your child’s next birthday party at Touch of Sweets! Parties include choice of lunch, delicious birthday cake, and a wonderful cake for each child to decorate and take home. Plus, we set up, clean up and pay attention to every detail. Stop in, call, or email us to reserve date and time. 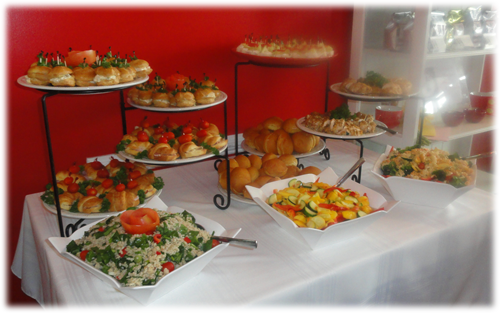 Lunch: Homemade pizza (made in the bakery) or fresh deli sandwiches and drinks for each guest. Personalized cake decorating instruction by Irena (store owner). Chef’s hat for birthday child. Dedicated staff person for party (to help serve, clean up, etc.). PRICE: $20.00 per child, plus tax and 18 percent gratuity. 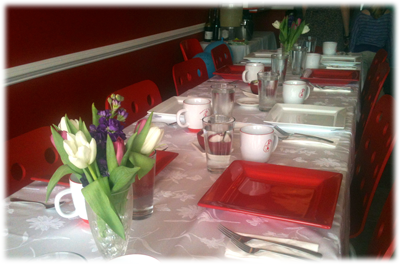 Note: We can accommodate special food orders for guests with special needs. Orders will be charged accordingly. DEPOSIT: A $50.00 deposit is required upon booking; this deposit is fully refundable if cancelled three weeks prior to the party. A final count and 50 percent of the total fee is due 72 hours prior to the party. 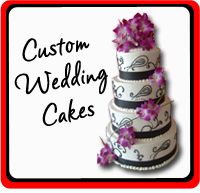 OUR SWEET SERVICES . . .